Activity Composer in Lightning Experience: Most of the Customers might notice that certain actions such as ‘Log a Call’, ‘New Task’, and ‘New Event’ will not appear in Lightning Experience within the detail page for Opportunity, Account, Contact, and Lead. 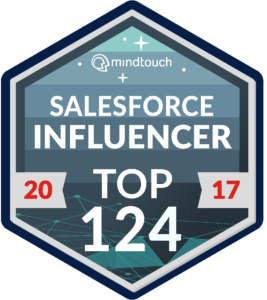 I also saw a lot of questions related to this in Salesforce Success Community. So here I am giving you step by step solution to resolve this issue in lightning experiences. Here like Below is Opportunity lightning detail page “Log A Call” button(action) is missing from activity composer. Step1: Look at the object’s page layout—opportunities, leads, accounts, contacts, or a custom object that supports activities. Check whether you’ve included the corresponding action in the Salesforce1 and Lightning Experience Actions section of the object’s page layout. Note: An object page inherits the actions of the global page layout unless you’ve customized the actions in the Salesforce1 and Lightning Experience Actions section of the object’s page layout. Step 2. Have you created a custom record type for calls, tasks, or events? Look at the page layout that you’ve associated with the custom record type. Ensure that you’ve assigned the custom record type to the corresponding action. For example, if you created a custom record type for calls, assign it to the Log a Call action. Step 3. Ensure that your users have permission to view that custom record type. Step 5: Drag and Drop ‘Log A Call’ from salesforce 1 Actions and save the page layout and go to opportunity record detail page. Step 6: Now you can see ‘Log A Call’ button appear in Activity Component,so same way we can add other missing action here. Kindly let me know your feedback on below post comment section !! Awesome post! Glad I found it. Thank you so much!!!! This was great!!! !